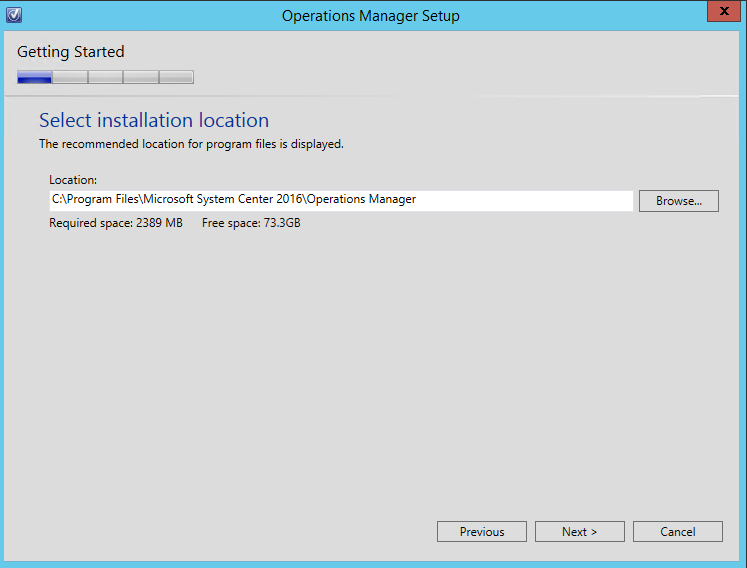 The following post is intended to demonstrate how to monitor your Windows Server 2016 — Nano Server, via System Center Operations Manager (SCOM) 2016. 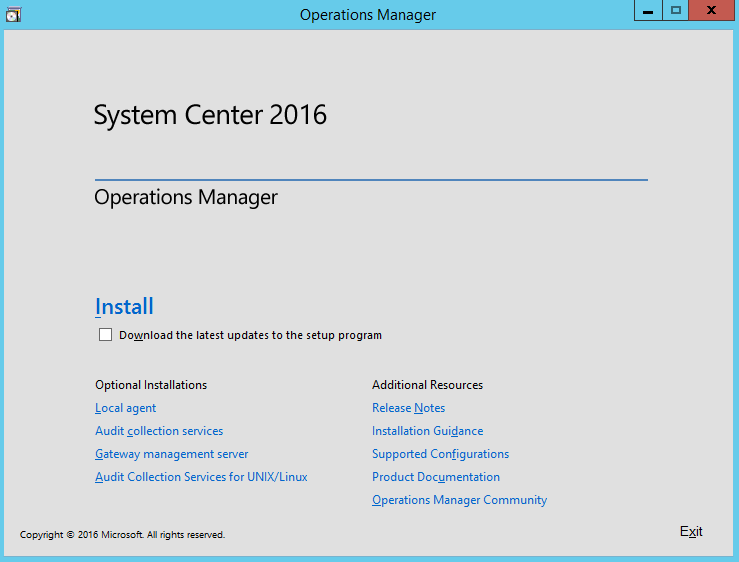 Also, a quick note, the SCOM team released the Windows Server 2016 Operating System Management Pack today, see HERE for the download/MP. One of the many updates to this MP (version 10.0.8.0) is the added compatibility of the Nano agent! 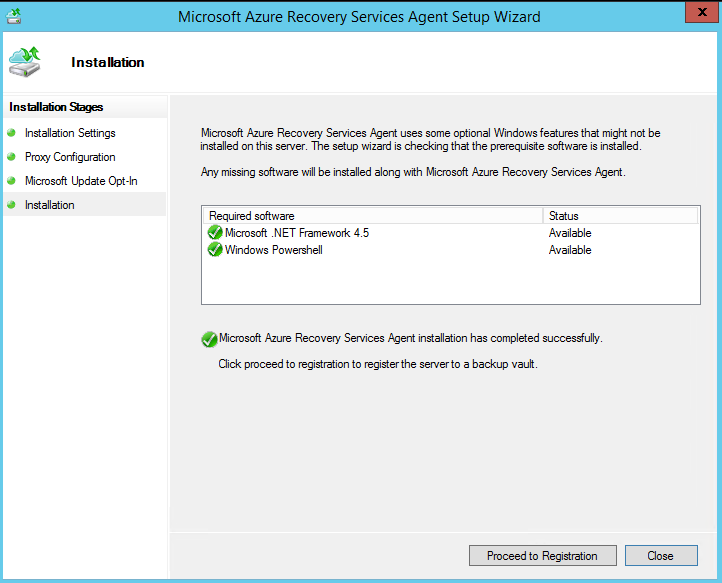 So without further ado, let’s try installing the SCOM 2016 agent on a Nano server! To begin, I have an out-of-the-box Windows 2016 (No UI) VM. I gave it 1GB of memory, and 2 vCPU’s. Once the VM is online, first things first, we need to add this machine to our domain, unless you want to go the DMZ/Certificates route…. 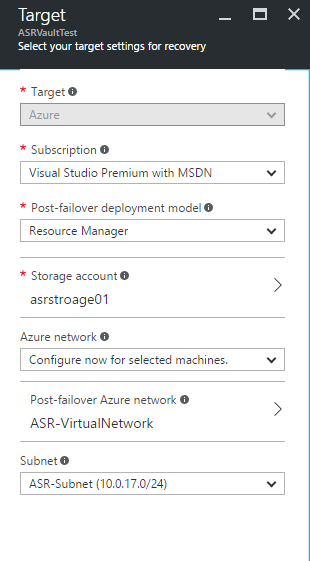 For simplicity, I am adding the Nano server to my domain, same domain as the SCOM Management Server(s) — The Nano Server and SCOM Management Server MUST be on the same domain. Same network space, etc. etc. Assuming the above is completed, let’s begin with assigning a static IP address to the server. However, before we do this, we need to get the name of the Network Adapter(s). These cmdlets will give us the network adapter name and current settings. 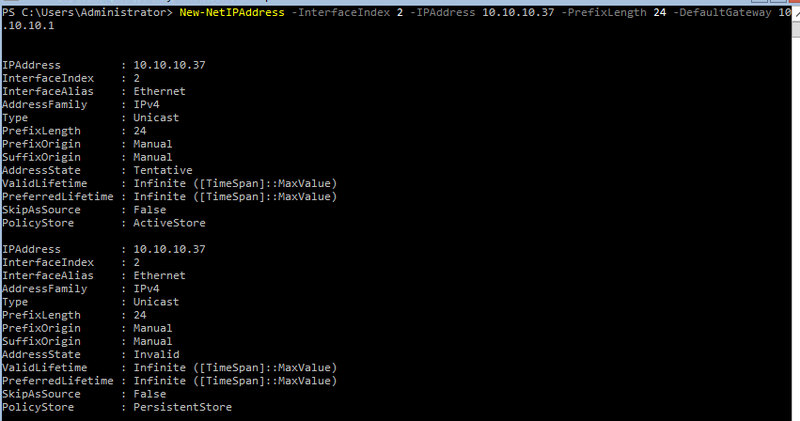 As you can see below, the domain controller/DHCP has already given our server a dynamic IP (10.10.10.50). We want to change this…. 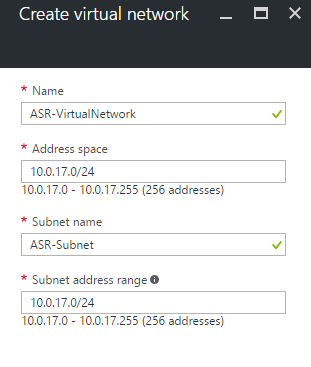 By default, the -PrefixLength 24, will assign the subnet mask of 255.255.255.0. 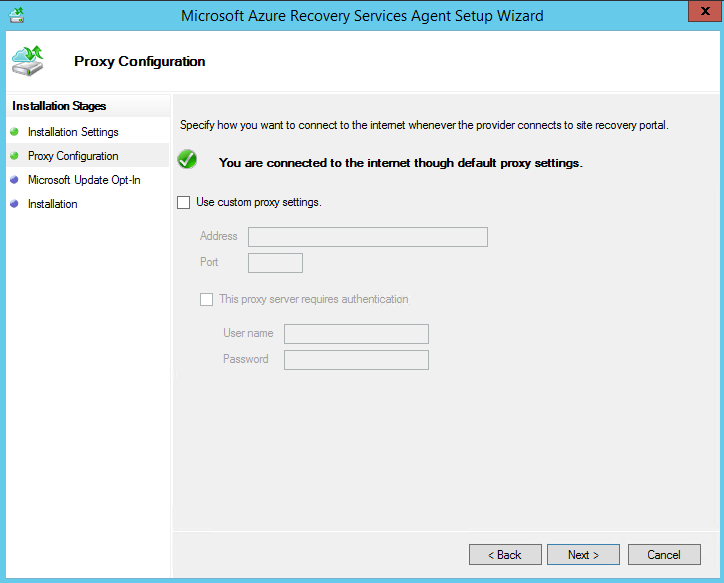 Next, since this is Active Directory, we want to assign the DNS Server(s) to our Network Adapter. If you only have one DNS/DC server, then remove the second entry. Now that we have communication with the domain controllers, now we can add our machine to the domain. First, let’s change the server name from its random default, to something we like. I am going to go with “NANO01“. Next, we can now add the server to the domain. Great, there it is! 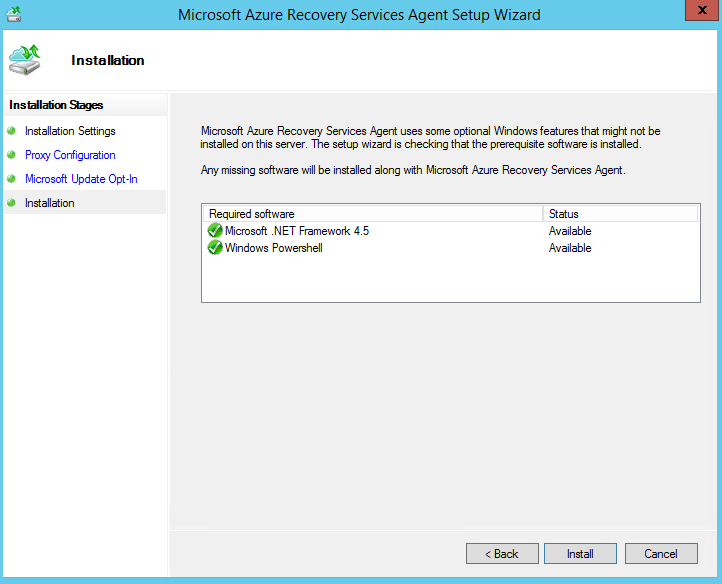 Now we can go ahead and deploy our Microsoft Monitoring Agent (MMA)/SCOM Agent. 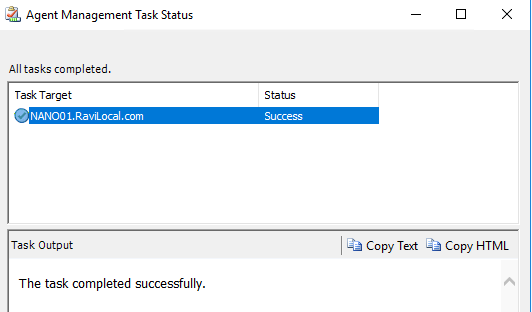 Since I am taking the lazy approach, I will be deploying the agent via SCOM console. 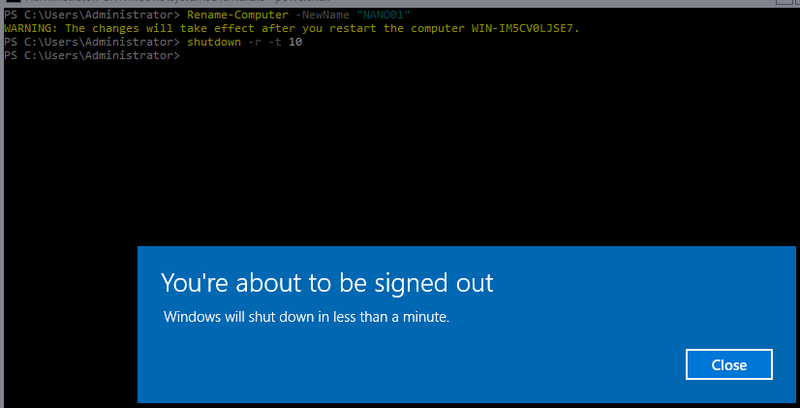 If you want to make use of PowerShell, see Microsoft’s TechNet article HERE. Earlier this month, I had the distinct pleasure to attend the Microsoft MVP (Most Valuable Professional) 2016 Summit. 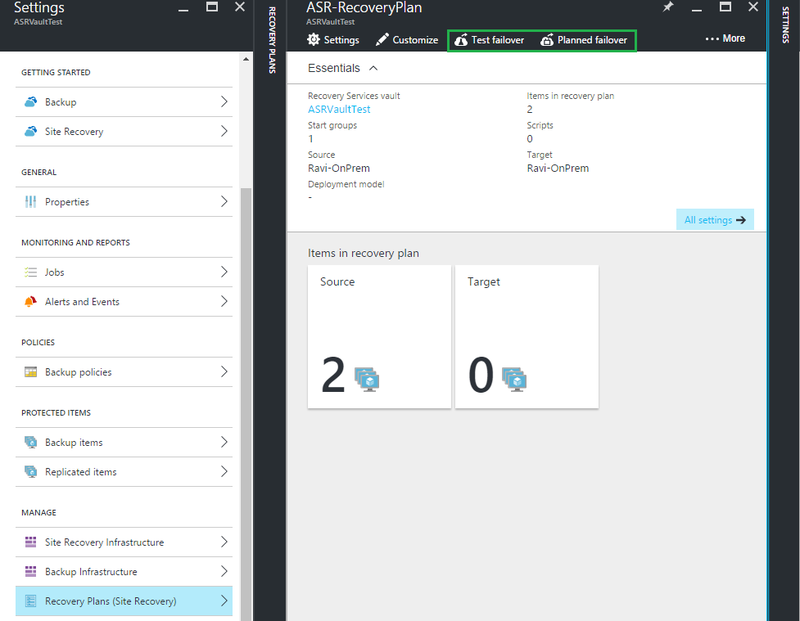 During this summit, I was even more privileged to demonstrate Azure Site Recovery (ASR) with the Channel 9 team. Click HERE for that video! 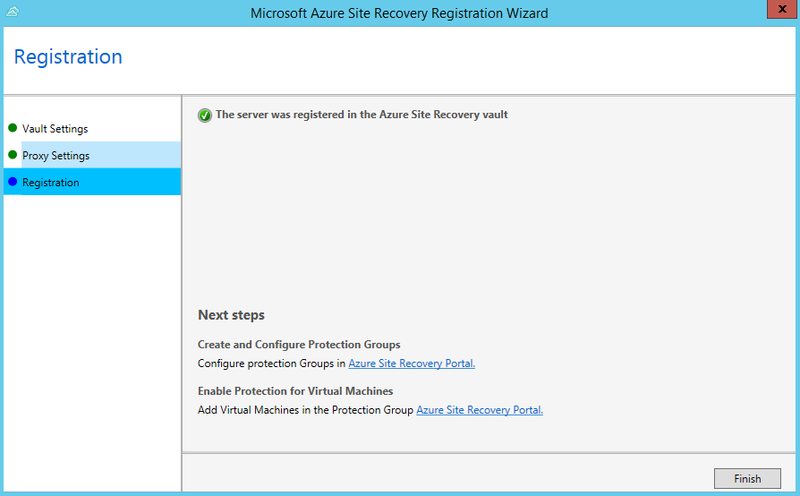 This post is a series of blog posts for Azure Site Recovery (ASR). 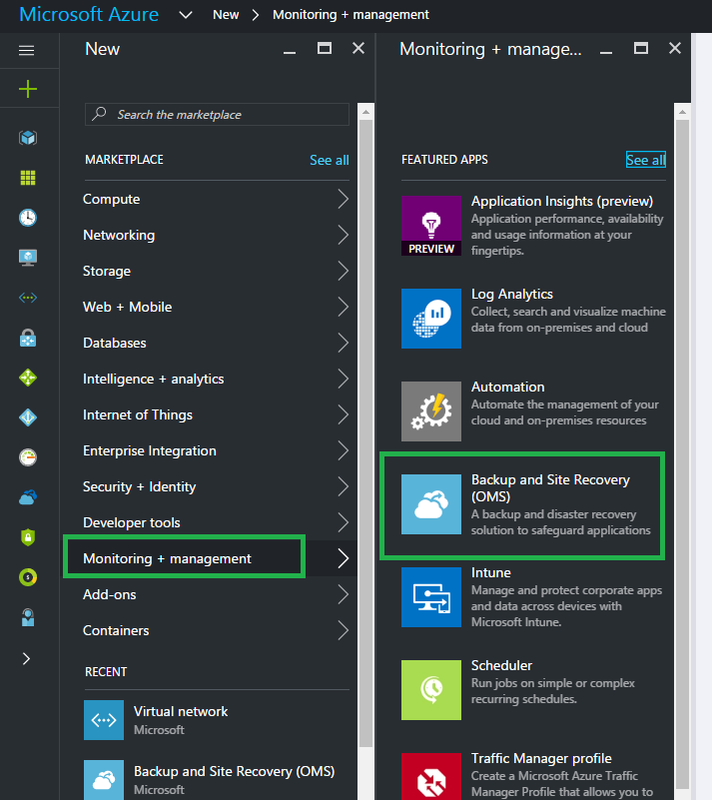 Here is a step by step walk-through on how to go about setting up and configuring ASR (Azure Site Recovery) and backing up your On-Premises Virtual Machines (VMs) with Azure Resource Manager (ARM). 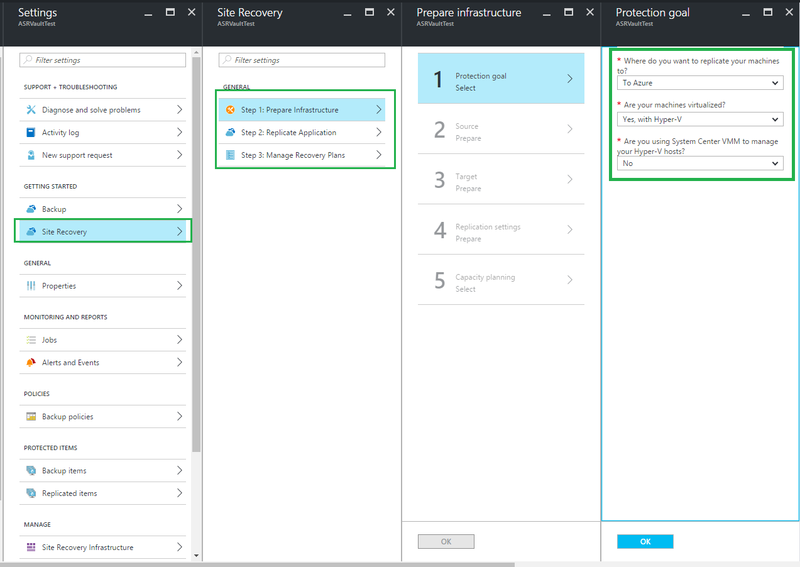 First things, first, Azure’s Recovery Service Vault is a unified vault/resource that allows you to manage your backup and data disaster recovery needs within Azure. 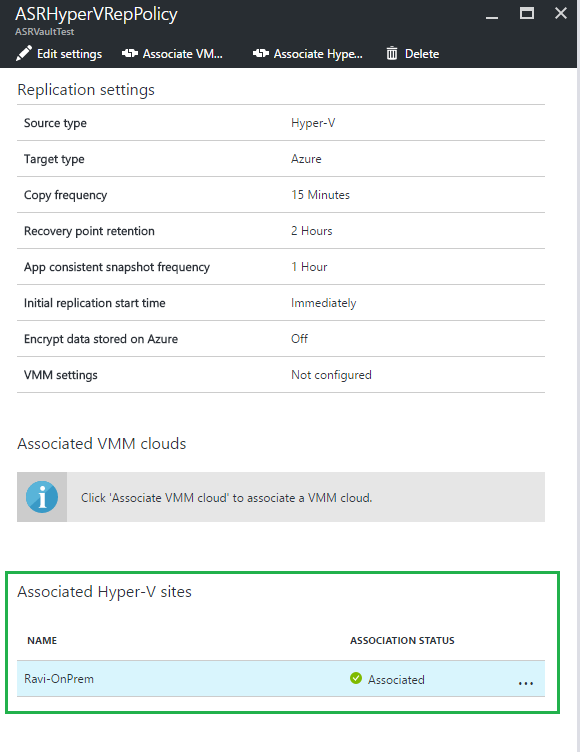 For example, if you are hosting your VMs on-premises you can create a link between your on-prem site and Azure to allow your VMs to be backed-up into Azure. 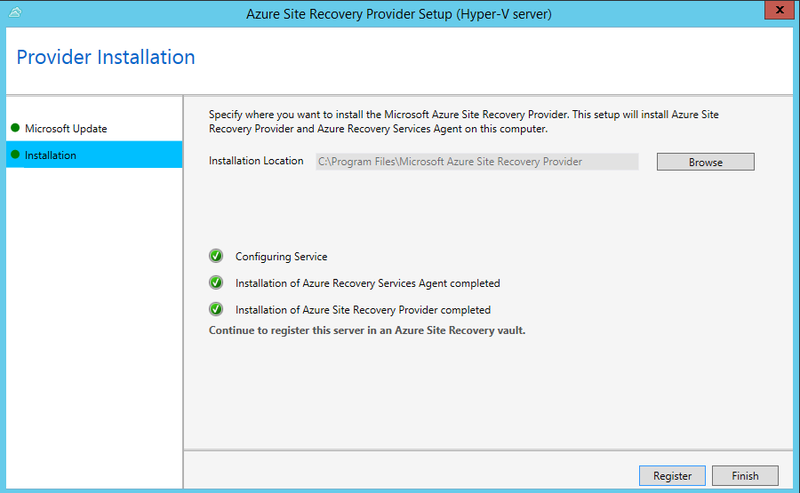 This is regardless of your hypervisor, it can be either ESX or Hyper-V, either will work. 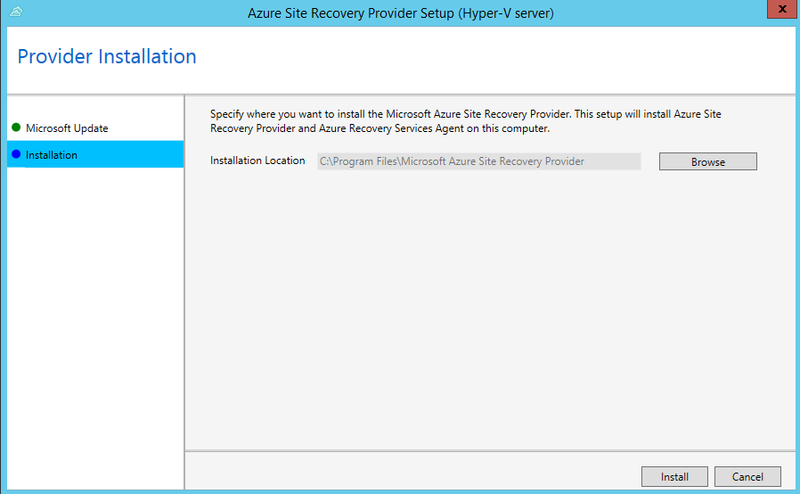 However for the interest of this blog post, I will be setting up ASR for a Hyper-V 2012R2 host. 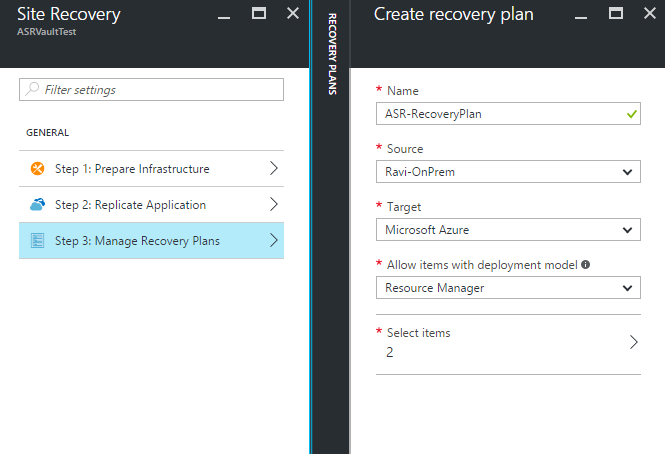 Within Azure Resource Manager (ARM), if we select New, within the Marketplace, select Monitoring + management, then select Backup and Site Recovery (OMS) within the featured apps. Of course if this is no longer present, just search for it within the marketplace. Next we will now need to create our vault. Give it a meaningful name, and you can either create a new Resource Group, or use an existing. 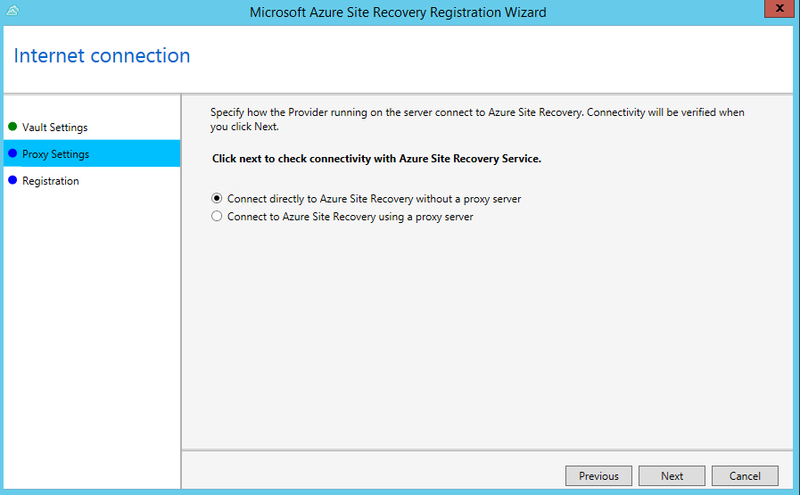 I opted with existing, as I will (another post) next setup a Site-to-Site ASR. Great, now our Vault is up and ready to go! 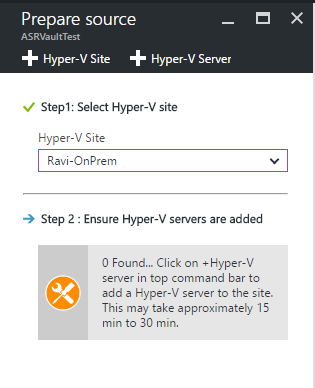 Next, we will now need to Prepare our source give our Hyper-V site a name, “Ravi-OnPrem” makes sense here, but give it something meaningful. 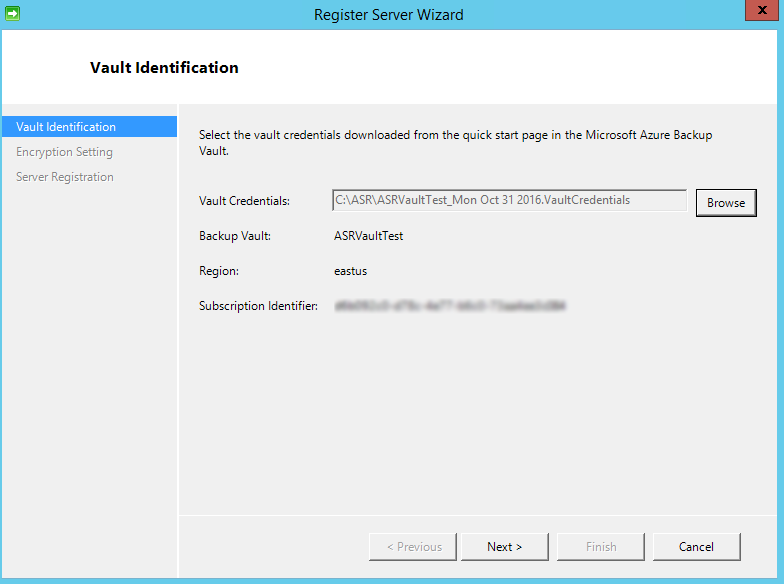 Now we need to download the ASR Provider Installer, along with the Vault Registration Key. 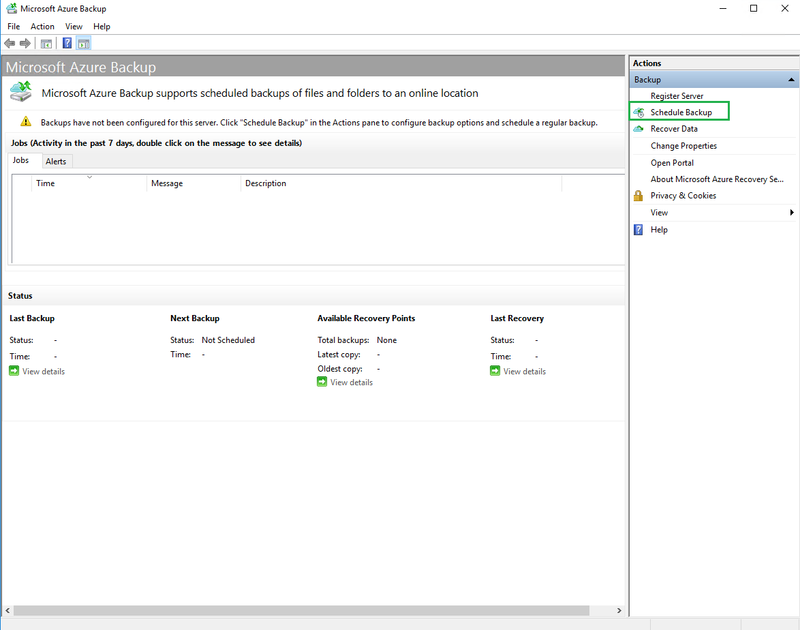 If we go back to Azure, we can now see our Hyper-V host populated. Great! Now we can continue on with Step 3 (Target Environment) of Step 1 (Preparing Infrastructure). Within the Replication, we have a few options here. 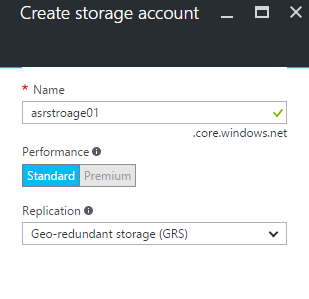 I left mine as default (GRS) Geo-Redundant. 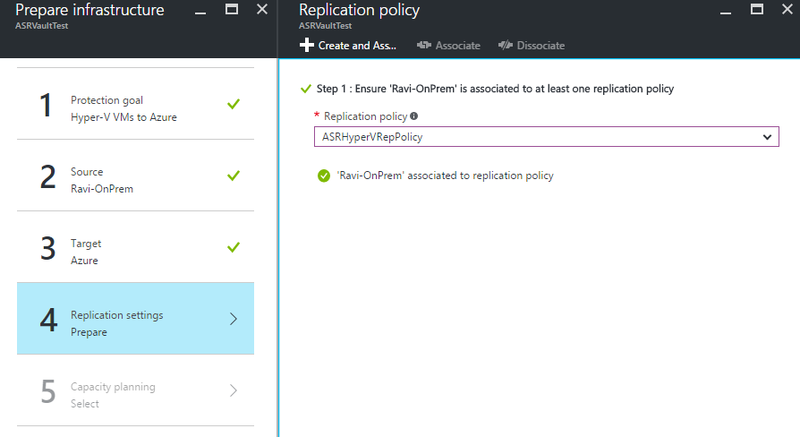 Since we create the Replication Policy beforehand, this auto-filled. Next we need to do some Capacity Planning. Since this is simply a walk-through example, I elected to skip this, but for a real-production environment, I would highly recommend doing this. 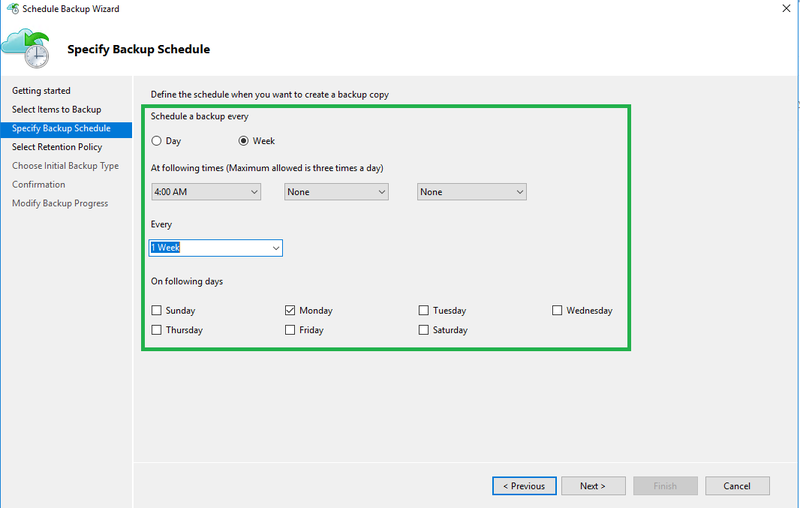 Here is a link to Microsoft’s Capacity Planner for Hyper-V Replica. This all should have populated since we created our Storage account and Virtual Network just earlier… If not, add them. 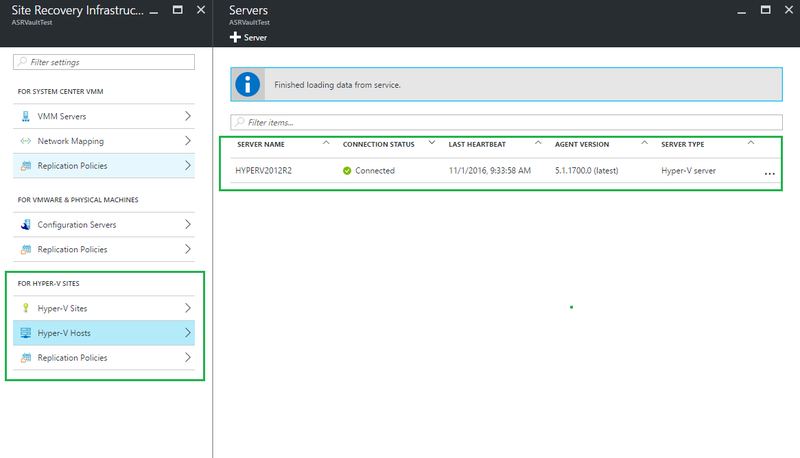 Now Azure should have connected with our Hyper-V host, we can now see our VMs within our Hyper-V host. Here we now need to select which machines we will want to include within ASR. 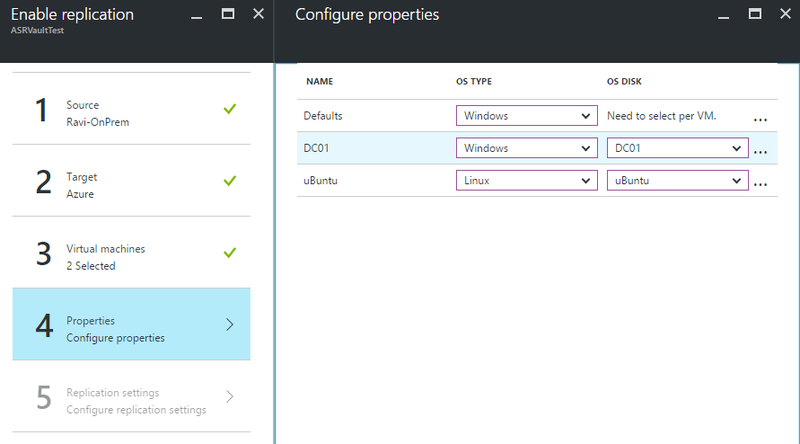 For simplicity and variety, I am going to select a domain controller and a Linux machine. 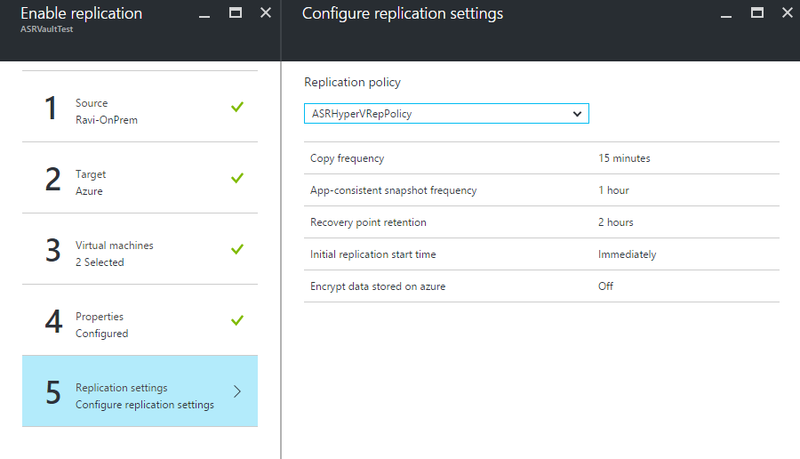 Once we are good, we can go ahead and apply the Replication Policy to our VMs. 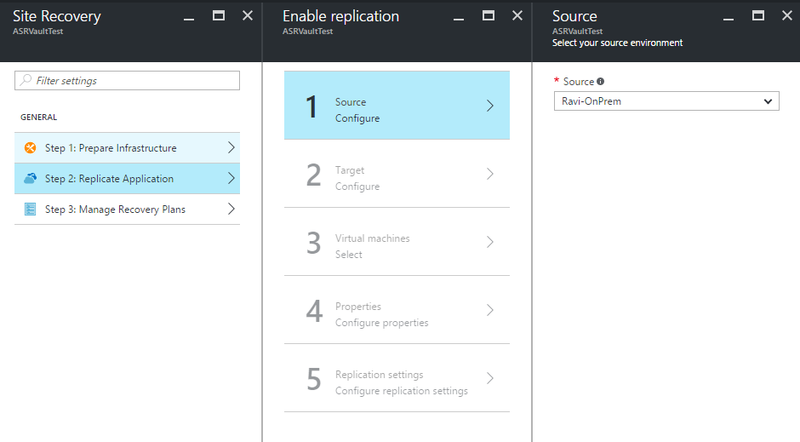 Once satisfied, go ahead and hit “Enable Replication“. Great! All done? 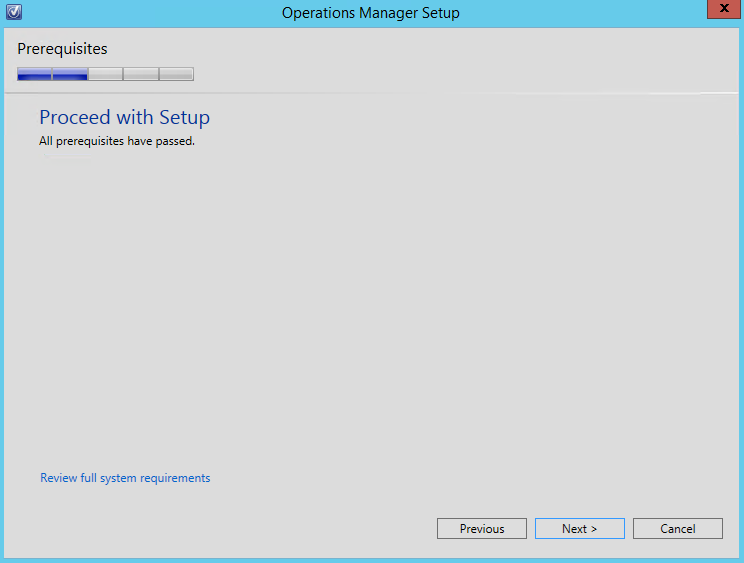 Before we say all done, let’s go back to our Hyper-V host, and configure the Network/Throttling bandwidth. 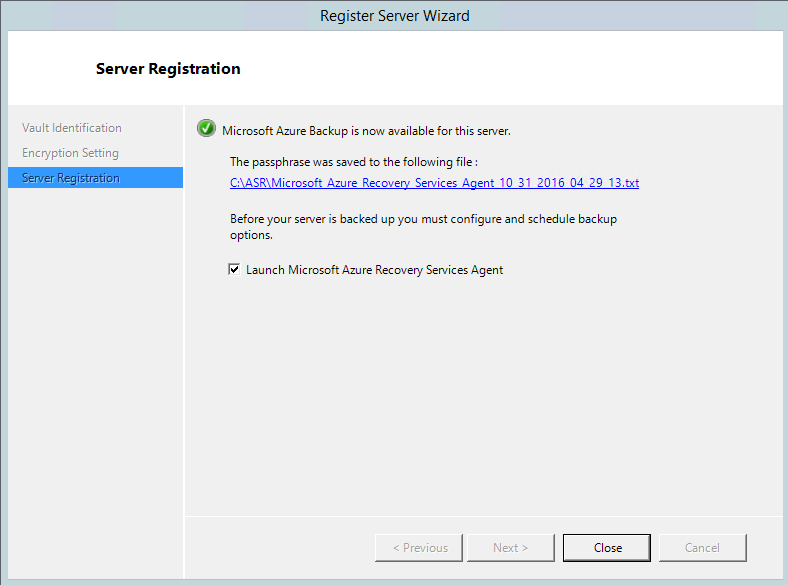 My Hyper-V host is not equipped with a GUI as I am using Windows 2012R2 Minimal Server, so navigate here to launch the Microsoft Azure Backup Agent, “C:\Program Files\Microsoft Azure Recovery Services Agent\bin\“. Launch, “wabadmin“. 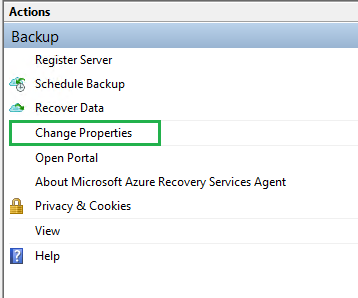 In the Actions pane, select “Change Properties” >> Select the Throttling tab. Change these settings as to your needs. 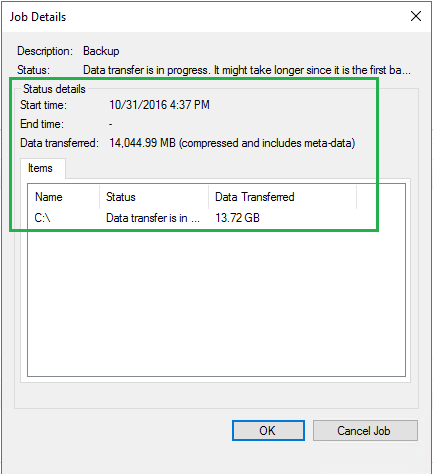 I wanted to increase my non-work hours to 4MB, but looks like 1MB is the max. Once these VMs are 100% Synchronized, the next steps will be to simulate a fail over, both Test and Planned. 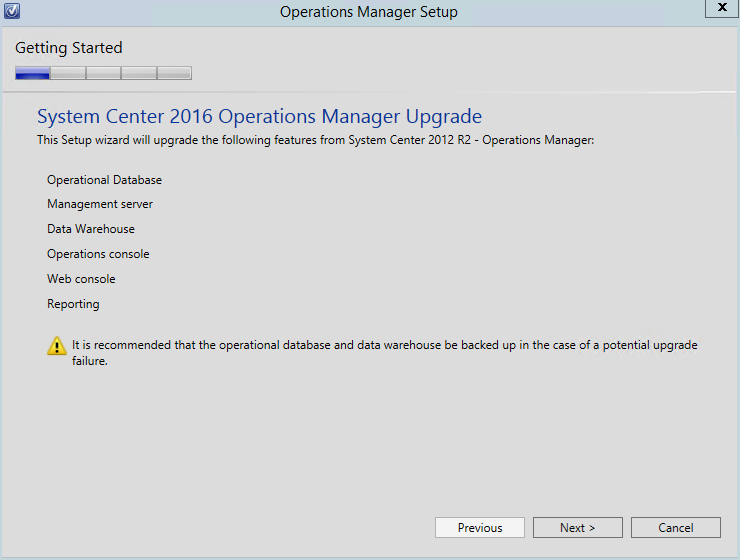 An incredibly awesome blog post by Kevin Holman and commonly used SQL queries with respect to System Center Operations Manager, SCOM. Please visit this link HERE for those SQL queries. Just a quick reminder, next week, November 16th, I will be hosting a SCOM 2016 and OMS meetup. It will be hosted at the University of Toronto, Nov 16, 2016. Please see the link below for more details! Seating is free (but limited! ), so RSVP your spot soon!! For more details on the Meetup, please see HERE. 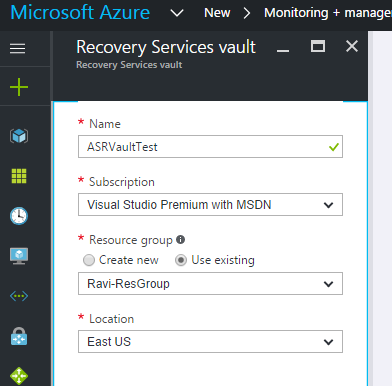 First things, first, Azure’s Recovery Service Vault is a unified vault/resource that allows you to manage your backup and data disaster recovery needs within Azure. 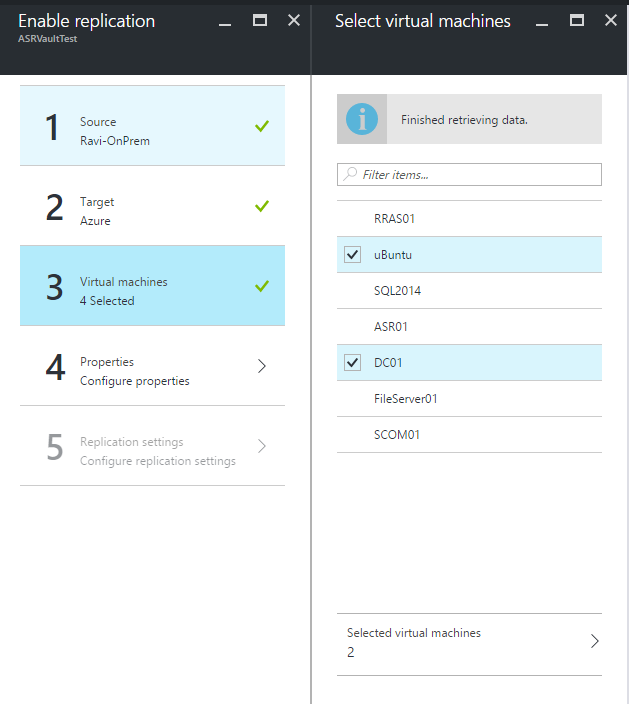 For example, if you are hosting your VMs on-premises you can create a link between your on-prem site and Azure to allow your VMs to be backed-up into Azure. 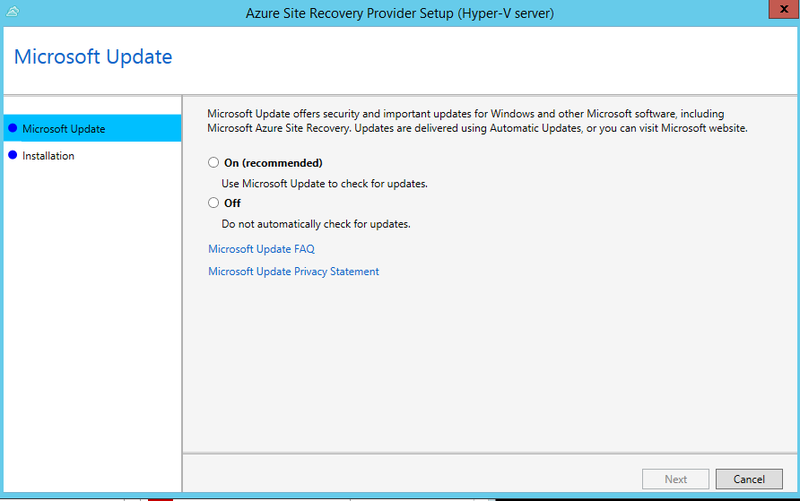 This is regardless of your hypervisor, it can be either ESX or Hyper-V, either will work. 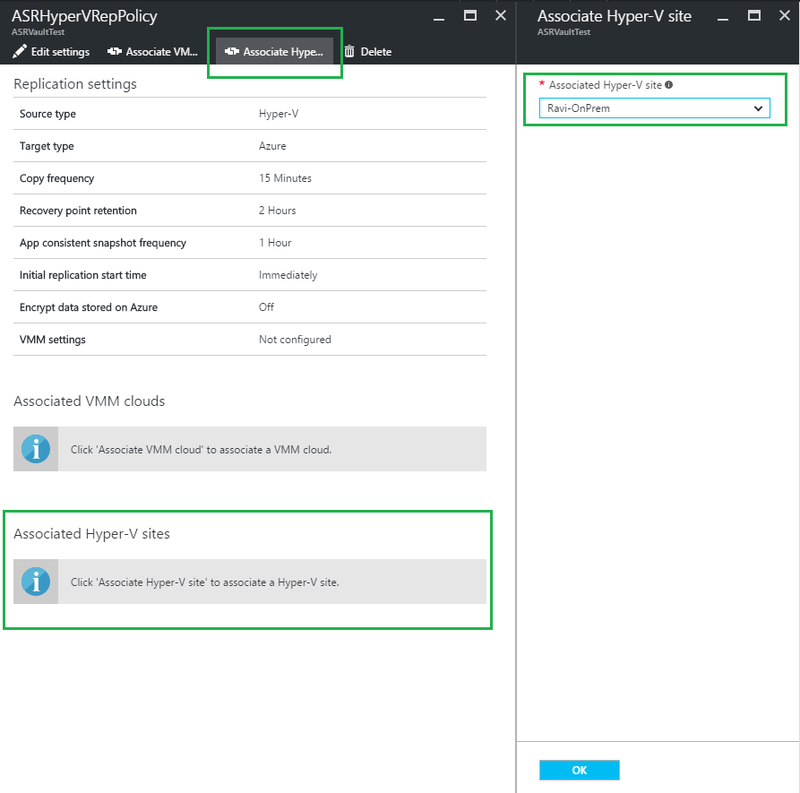 However for the interest of this blog post, I will be setting up ASR for VMs being hosted on your On-Premises environment on a Hyper-V 2012R2 environment. 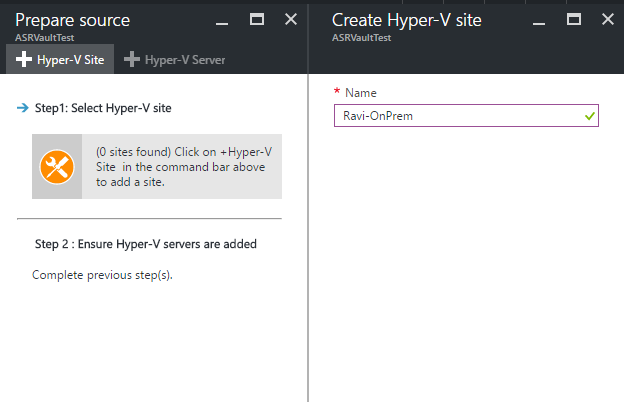 Next, we will now need to give our Hyper-V site a name, “Ravi-OnPrem” makes sense here, but give it something meaningful. 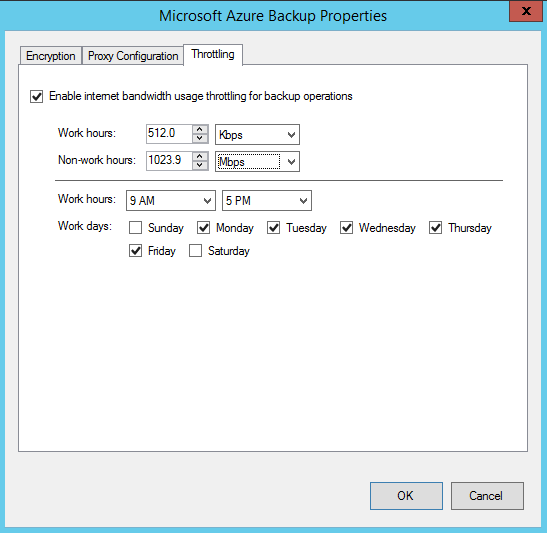 Once validated, we can now go ahead with the Azure Backup Agent. 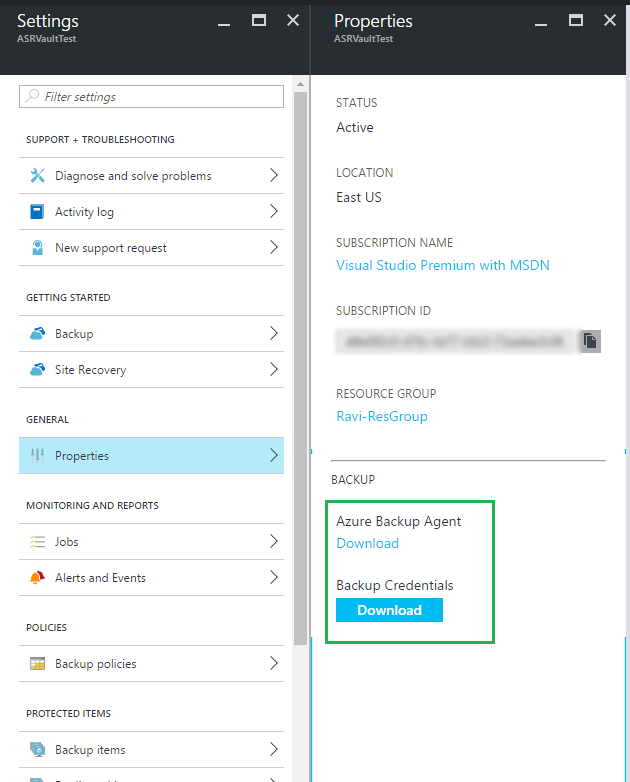 Download the Azure Backup Agent, and also, download the Backup Credentials. 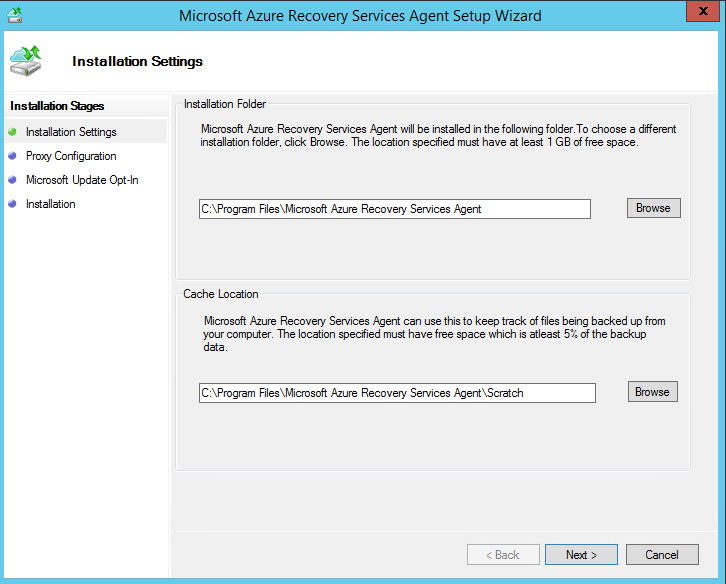 Download the Agent and Credentials to the server you will be backing up. 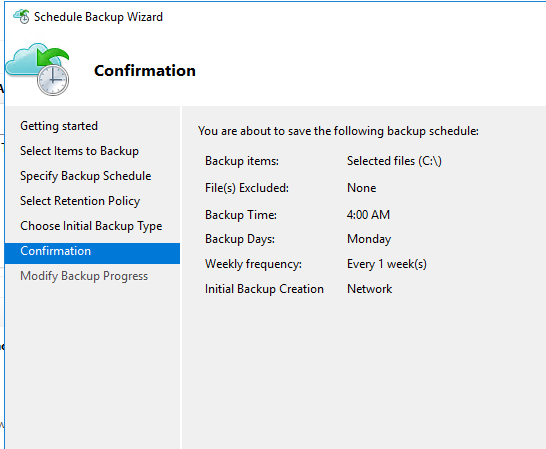 In my example, I will be backing up a Windows Server 2016 (RTM). Since my environment is pretty open, ie. No Proxy, no changes required here. All good with the MARS prerequisites… Hit Install! 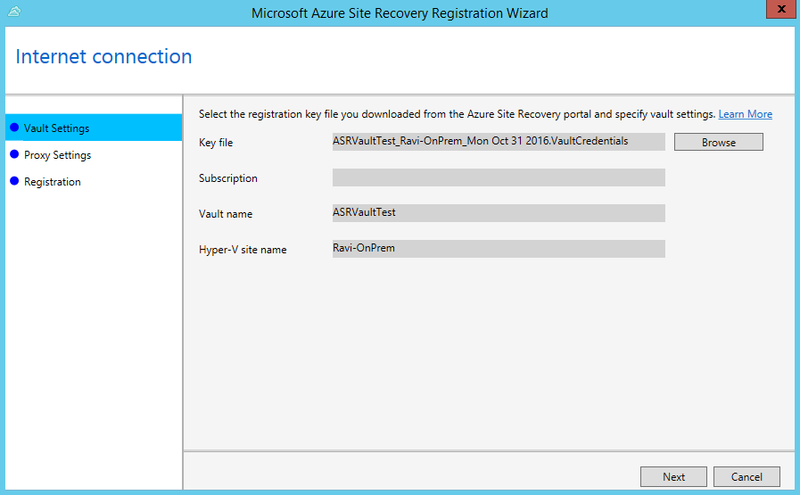 All good, time to register our server to our Recovery Services Vault. Here is where we will need that VaultCrentials file.. I hope you downloaded it as mentioned earlier… As you can see, back in the first few steps, when we created our Vault, the settings are now automatically inputted. 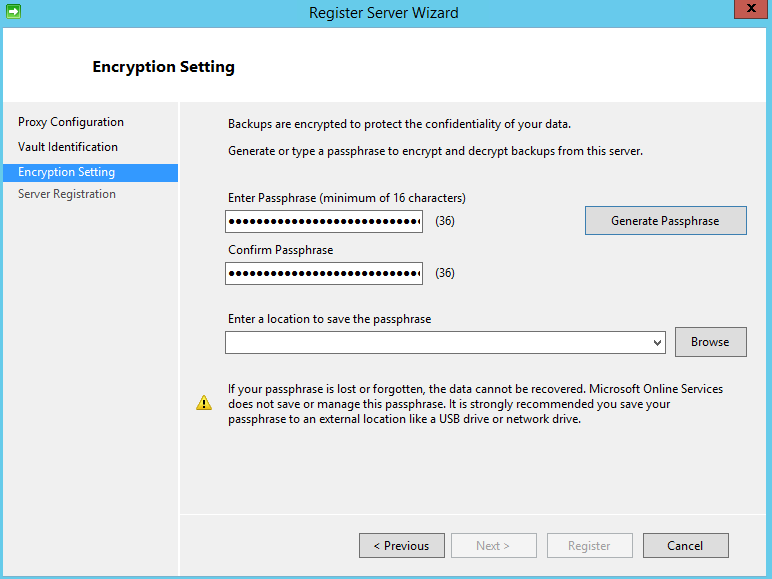 Here, I decided to let the wizard generate the Passphrase. I then saved the key locally to the server. Perfect! 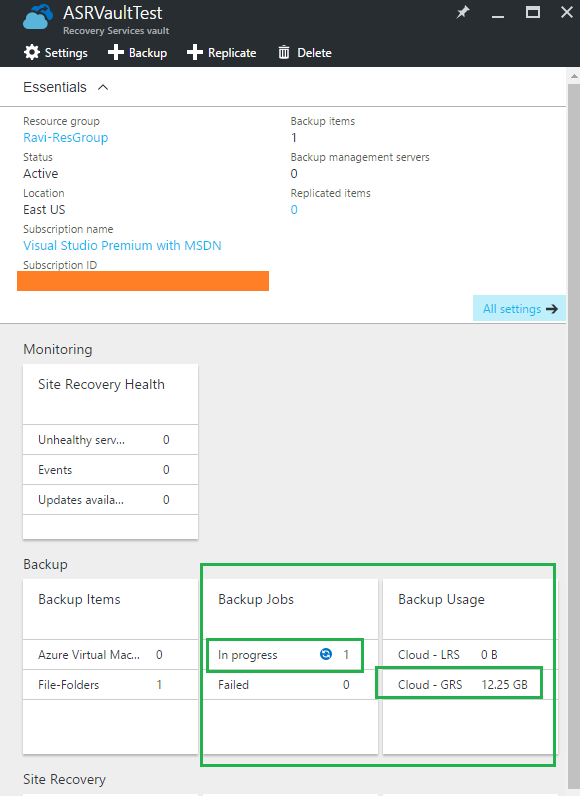 Now we can go ahead and with the Azure Back: Site Recovery/Backup Schedule, etc. 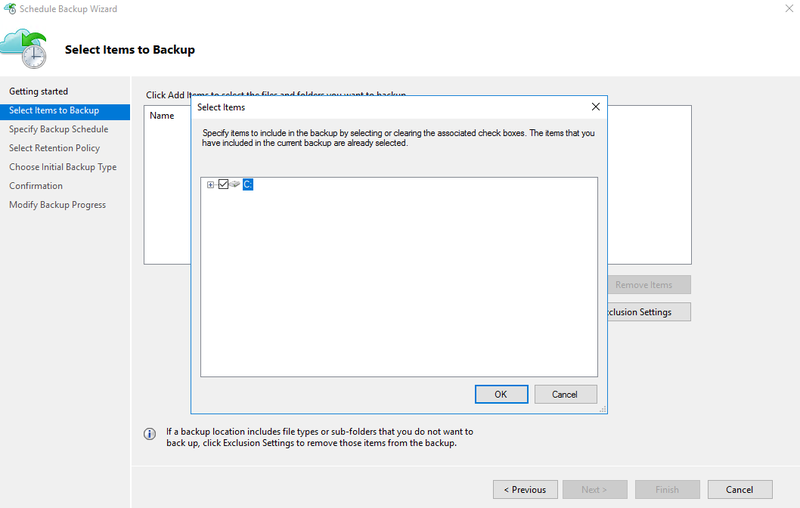 Since this is a basic server, I only allocated 1 drive for this example, once we hit Backup, I am presented with the available drives. Once you are satisfied with the policy, go ahead and hit next. 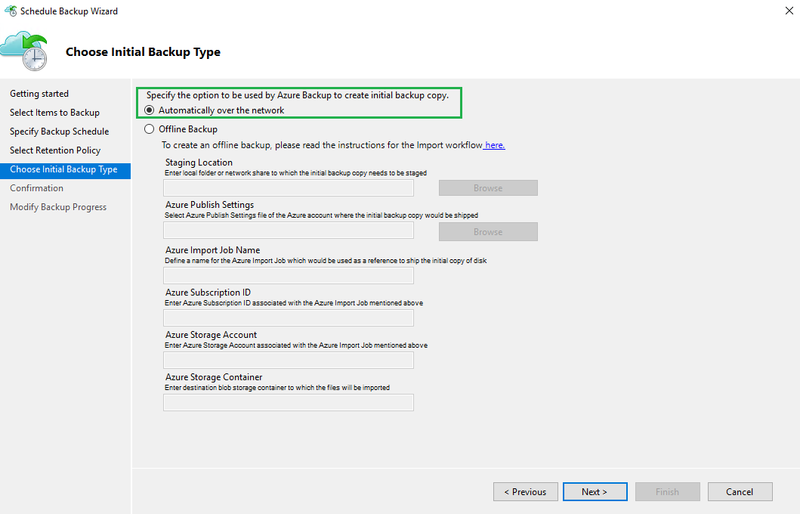 Since we want to back up to Azure, and not an offline backup, we will backup over the network. Have a look over before we do the initial backup. Going back to the main console, within the right pane, within Actions, let’s initiate our Back Up Now. 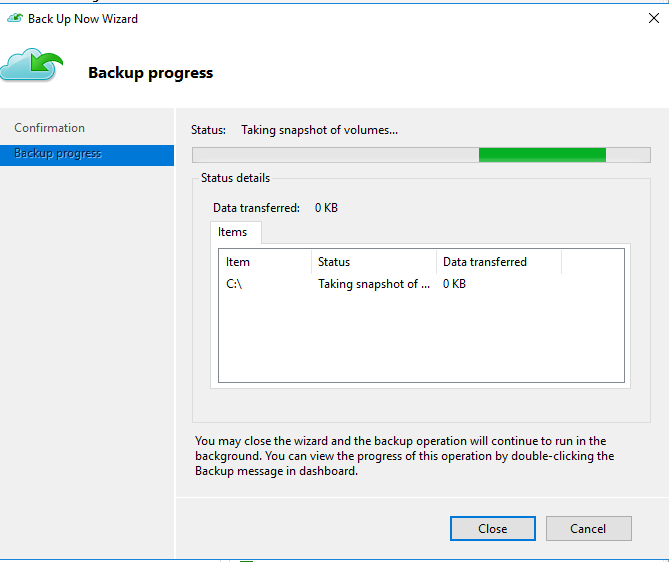 If we now double click within the job, we can see the Backup has begun…. 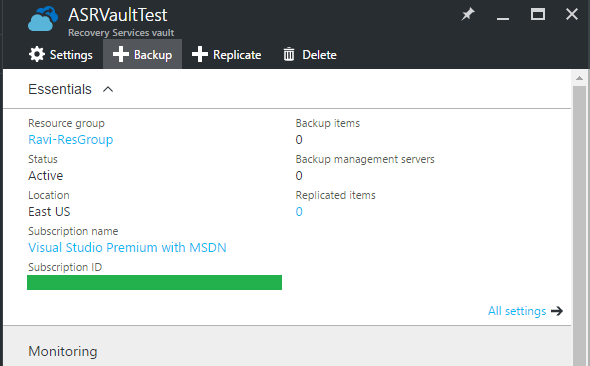 If we go back to Azure, and take a look at our Vault properties, we can see there is a Backup in progress. 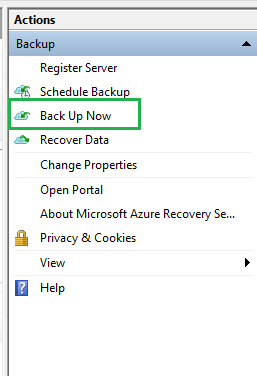 If we drill down within the Backup, we can see our server being backed-up. 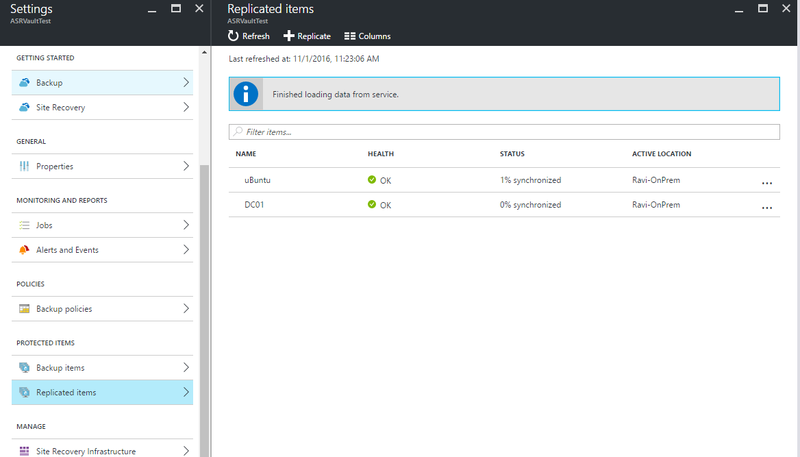 And likewise, if we go within to the Azure Resource Manager, and within the Vault Backup jobs, and take a look at the details, we can see data is being updated to Azure. 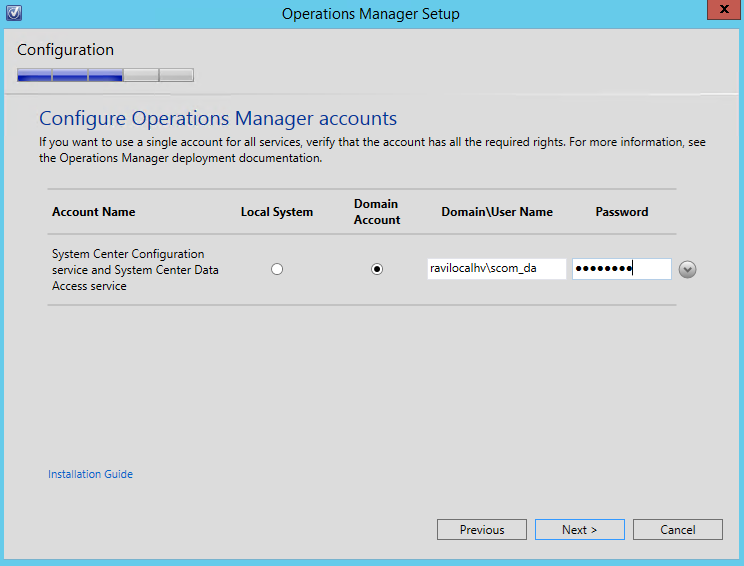 SCOM 2012 R2 environment has two Management Servers. 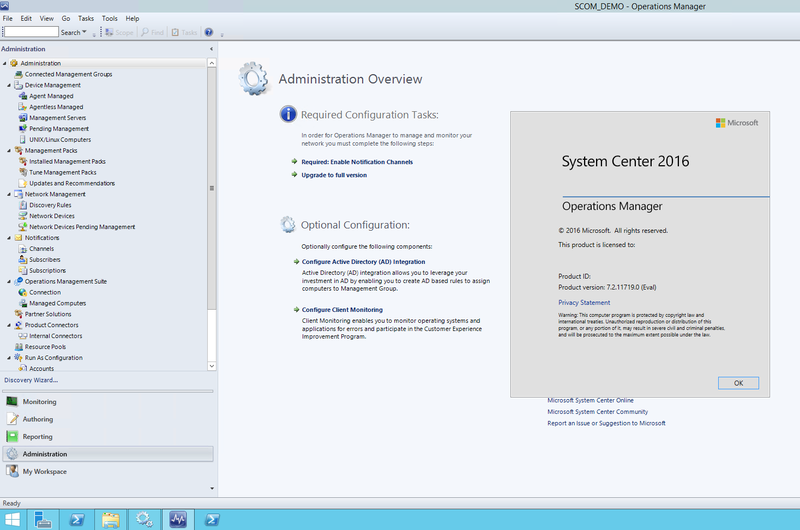 Handful of clients (Windows 2012R2) being monitored. 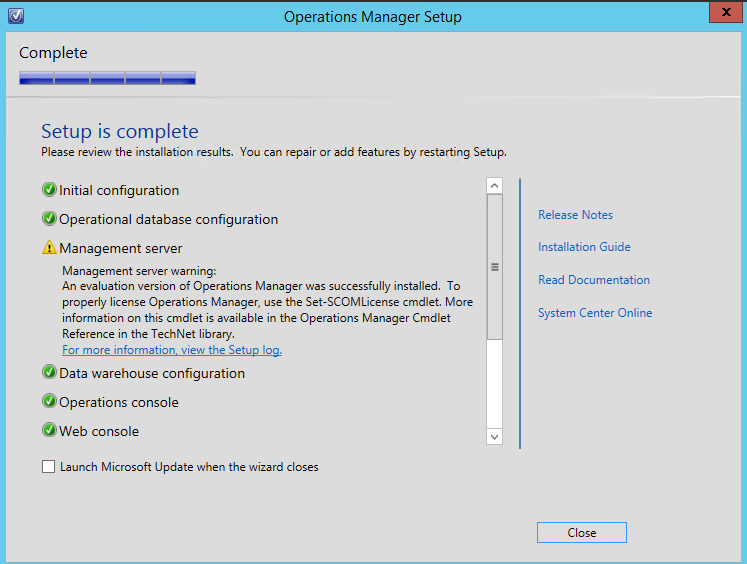 Both Management Servers live on a Windows 2012 R2 operating system. 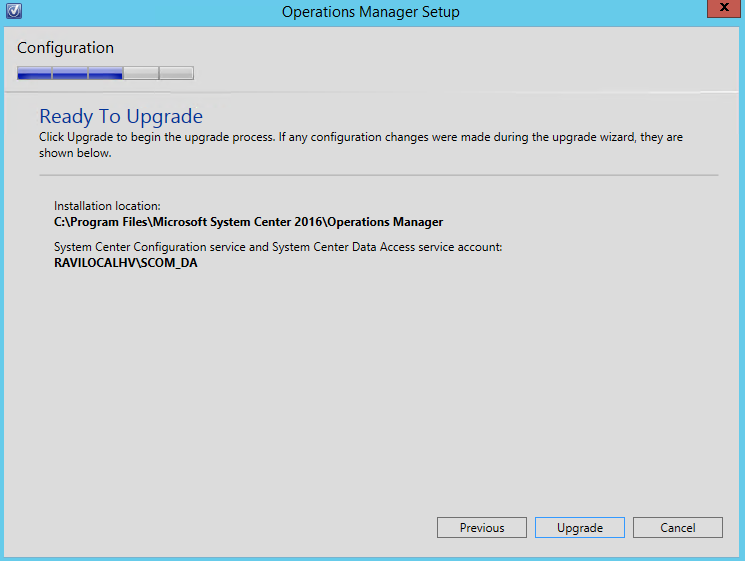 Both Management Servers are running with UR 11 (Update Rollup) **Microsoft recommends upgrading the environment at latest version number minus one (latest – 1), so in this case, UR9 (UR10 was never issued for SCOM 2012R2)**. 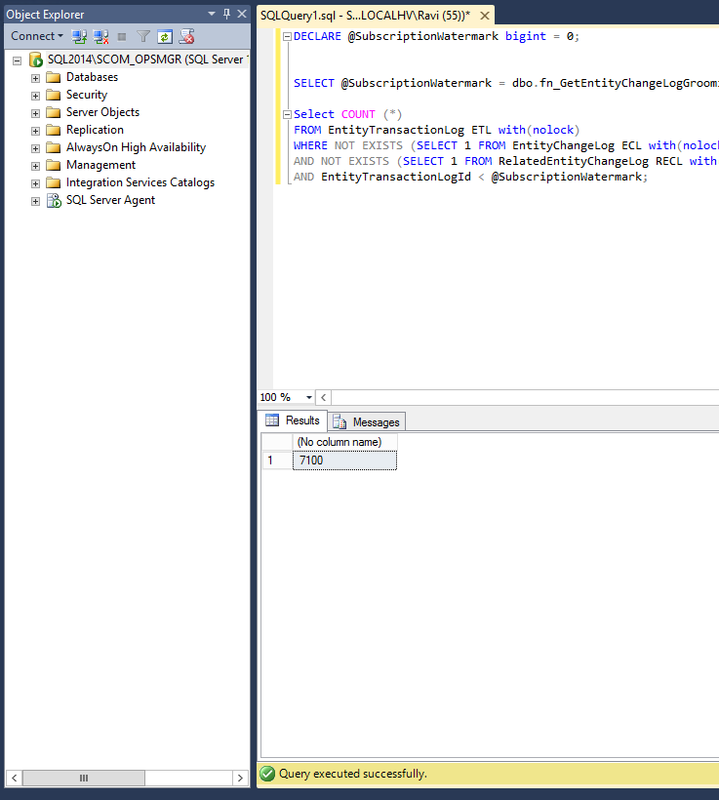 The SQL environment is a SQL Server 2014 SP2 also running on Windows 2012 R2. 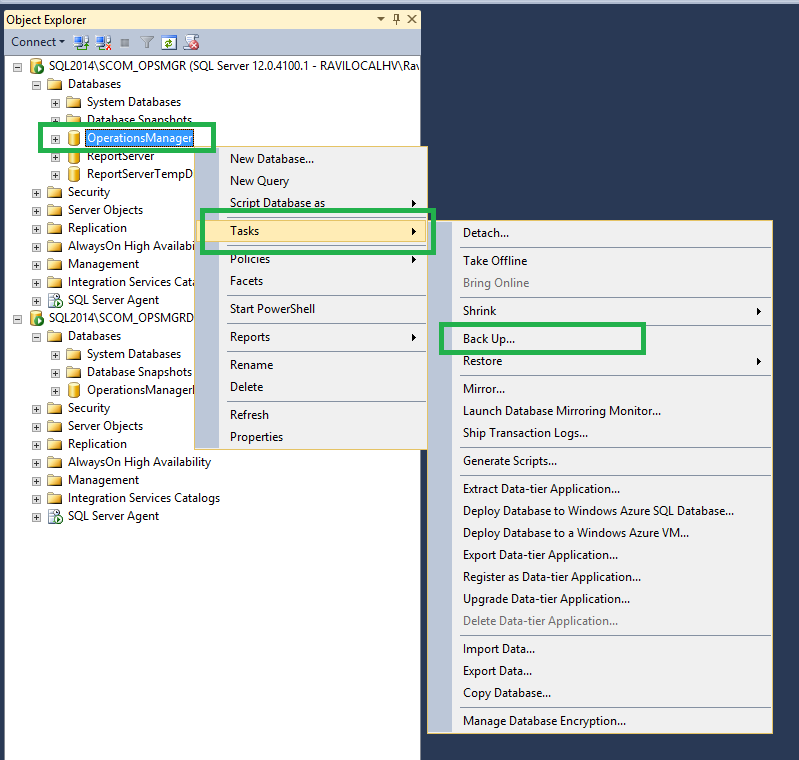 The Operations and Data Warehouse live on dedicated SQL instances, however reside on the same server. First, we need to do some “Pre-Upgrade” Tasks. Follow these in order. Great! Let this run, which may take a few minutes, or hours depending on your environment..
Sweet! 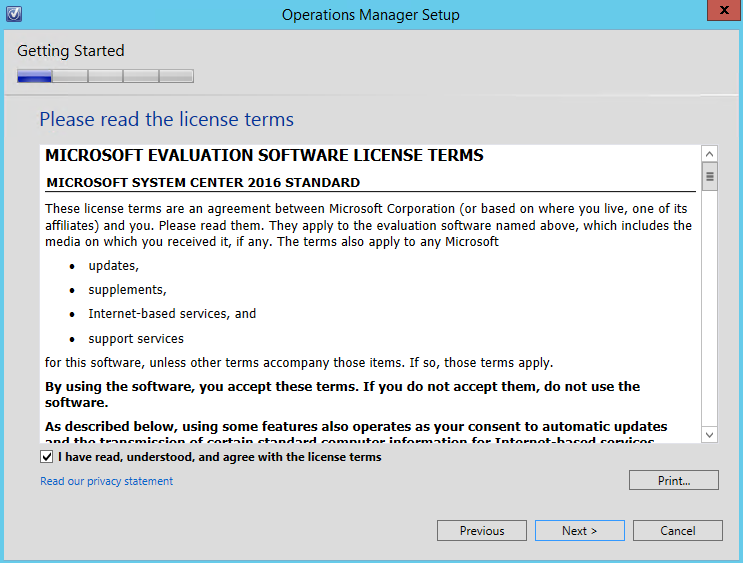 Although this was expected, since no new changes were required for Windows Server 2012 R2. I cannot stress how useful it is to use dedicated service accounts. Here input your Data Access/SDK account. Once quick review before we begin the Upgrade..
Let this run… For me, the upgrade took around 50 minutes for the first Management Server..
Sweet! All good. Remember to install the license key before the 120 days are up. Let’s launch the console just to make sure we are in all working order. 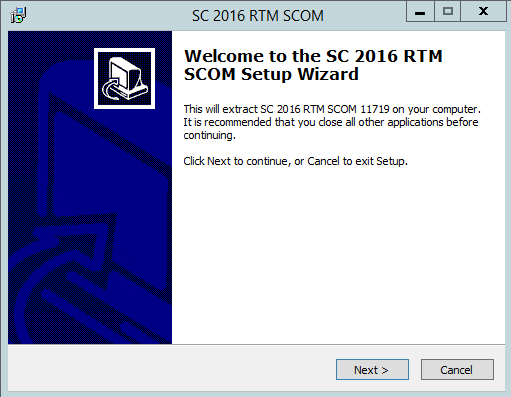 At this time we can make use of the SCOM 2016 features, and update our out-dated Management Packs. 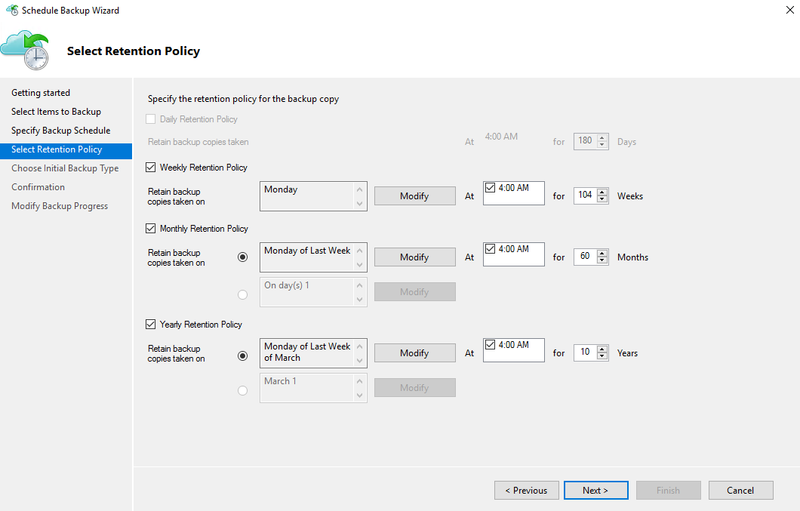 Remember this feature really only works for Microsoft based Management Packs, ie. 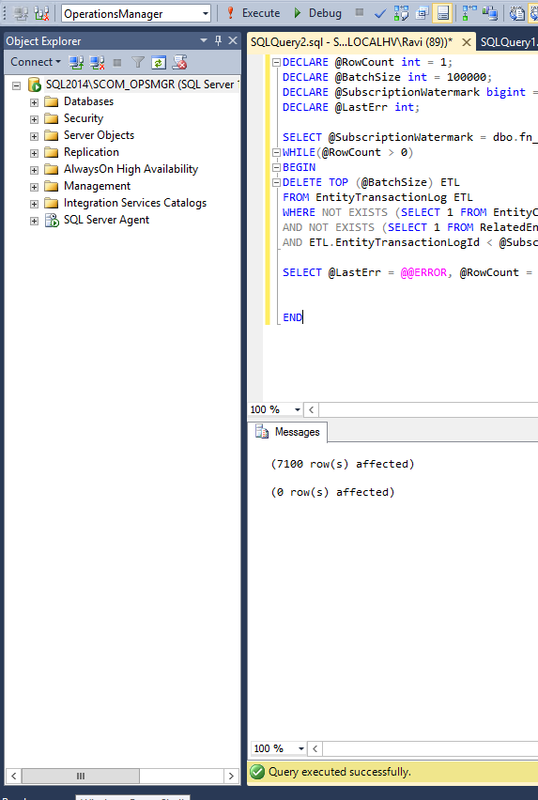 SQL, Windows Server, Client OS, etc. I hope this helped! For additional information, and or upgrading other items such as Gateways, ACS (Audit Collection Services), etc. Please visit Microsoft’s guides HERE. 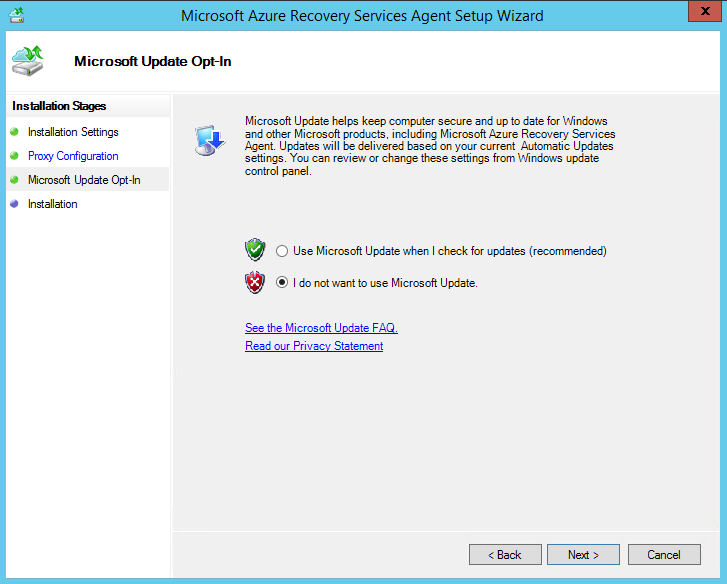 Lastly, it is highly recommended to upgrade to SCOM 2016 Update Rollup 1 (UR1). For that guide, please visit this LINK.